Portsmouth based Vortec Marine have announced plans to support the prestigious Swan European Regatta 2017, taking place in Cowes between 3-7 July 2017.  Vortec Marine are the only Nautor’s Swan Authorised Service Centre in the UK, offering the highest quality of maintenance, service and support to Swan yacht owners. From a dedicated base in Portsmouth, Vortec Marine provide a full service centre including lift-out facilities for yachts up to 40 metres and 180 tonnes. Swan owners will be able to rely on Vortec Marine for assistance with shipping their yacht to the regatta, yacht preparation before racing and general maintenance or servicing either before or after the regatta. In addition, Vortec are offering a free rig check for entrants, and will have a maintenance team and key spares available in Cowes during the regatta – just in case. The Swan European Regatta typically attracts about 35 Swan yachts of all sizes to take part in the 4 days of Solent racing, hosted by the Royal Yacht Squadron. For more details on the regatta, visit http://www.nautorswan.com/en/nautor-swan/clubswan/events/timeline/2017/2017-swan-european-regatta/. For Swan servicing and maintenance, please Contact Us for a quote.